It is 1910. Jessica and Phyllis Melville have grown up at Ellinghurst, their family estate. A headstrong beauty, Jessica longs for London-the glitter and glamor of debutante life- while bookish Phyllis dreams in vain of attending the university. Neither girl questions that it is Theo, their adored brother, whom their mother loves best. Theo eclipses everyone around him, including the diffident Oskar Grunewald, who is a frequent visitor to Ellinghurst. Fascinated by the house but alternately tormented and ignored by the Melville children, Oskar seeks refuge in Ellinghurst's enormous library. 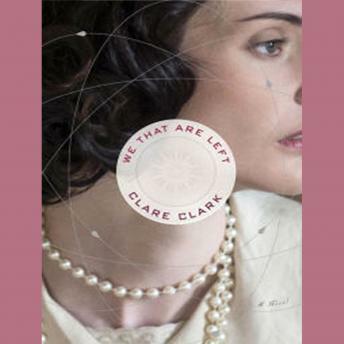 Over the next decade, as the Great War devastates and reshapes their world, the sisters come of age in a country unrecognizable from the idylls of their youth. As they struggle to forge new paths in a world that no longer plays by the old rules, Oskar's life becomes entwined with theirs once again, in ways that will change all of their futures forever.